Drug and alcohol use affects the brain’s neurochemistry and disrupts many of the body’s normal biological functions. It takes some time for our bodies to regain a proper balance. One of the issues we have to deal with in early recovery is insomnia. Lack of sleep is a trigger for relapse, so figuring out how to get a good night’s rest is important. I don’t know about you, but I was so used to drinking until I passed out that I didn’t know any other way to get to bed. 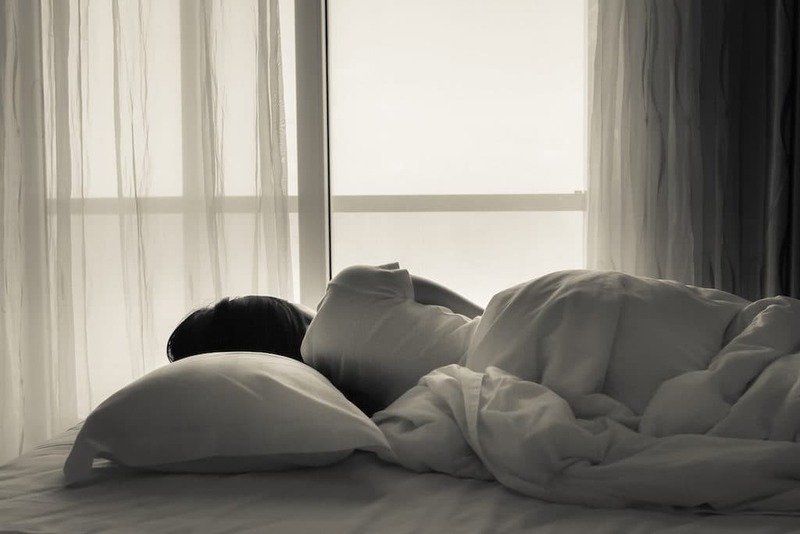 We’ve all heard the generic advice on how to get to sleep – and stay – asleep, but here’s some recovery specific advice that my friends and I have found to be helpful. After you get out of a night meeting, it’s probably not the best time to do your Fifth Step with your Sponsor. Stressful or emotional conversations get your brain running in high gear, making it difficult to calm down and fall asleep. Many of us build large support networks in early sobriety, and that’s great. But we don’t want to be awakened by calls, even friendly calls, while we’re trying to get some sleep. Just say no – to invitations or activities that are past your bedtime. This was hard for me; I’m an early riser and I need to go to bed by 10 pm. I felt pressure to go out with friends after meetings, but I eventually learned how to politely decline and get my sleep. Do some calming reading before bed. For some, recovery reading – such as meditations – are helpful. Personally, I liked to read about the neuroscience of addiction, but I’m a bit of a nerd. Drink something that’s non-alcoholic, caffeine- and sugar-free – something that tells your body it’s time to switch over into night mode. My choices have been: caffeine-free diet cola with lime juice, diet ginger ale, and seltzer with a drop of fruit juice. I was used to drinking at night, so my body expects some sort of drink to tell me it’s night time. Make it something you enjoy that can signal relaxation time. I know it’s hard because most of us have mad sugar cravings when we stop drinking. But sugar, especially at night, can mess up our sleep and our moods in general. If you need a little sugar pop, try eating a piece of fruit. Don’t worry – this will pass. And soon you’ll be sleeping better than you have in years!